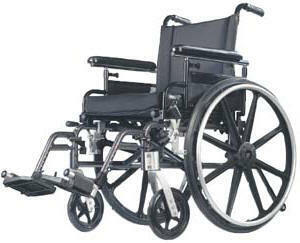 There are many different types of wheelchairs. 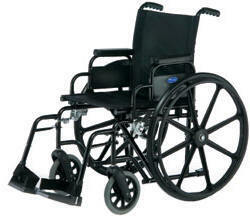 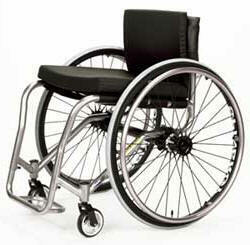 This section focuses on providing a diverse selection of wheelchairs and wheelchair accessories on the market. 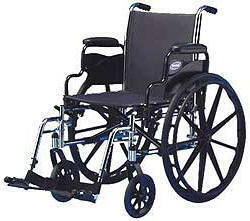 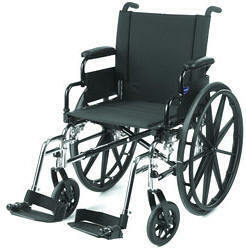 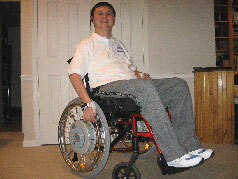 For more information on choosing the right wheelchair, click here. 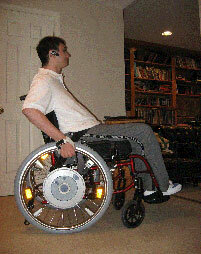 Click Here — Learn more about mobility devices and watch thousands of SCI videos on SPINALpedia! 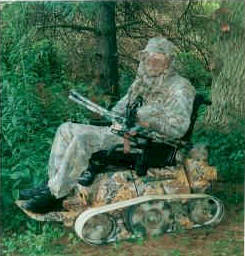 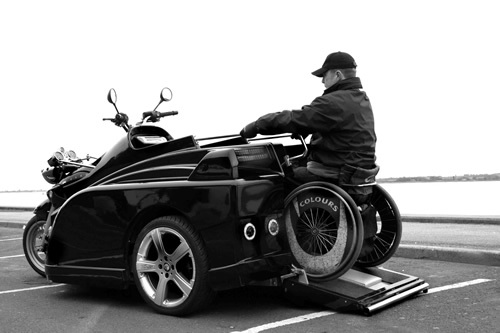 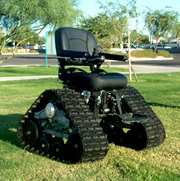 Fastest Wheelchair This site is the unreal! 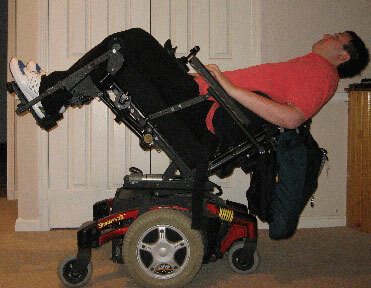 There’s one chair on the site that has nitrous oxide and has a top speed of 130 mph! 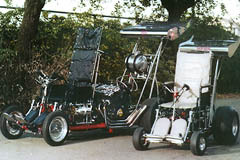 Check it out if you’re into speed. 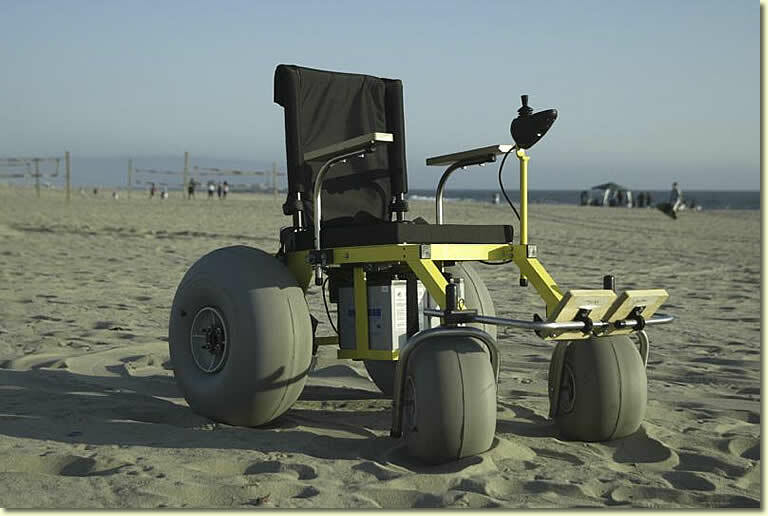 Motorized Beach Wheelchair This site is great because it showcases a range of adaptive wheelchairs for different terrains. 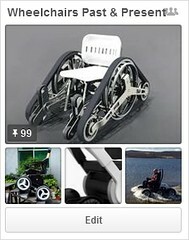 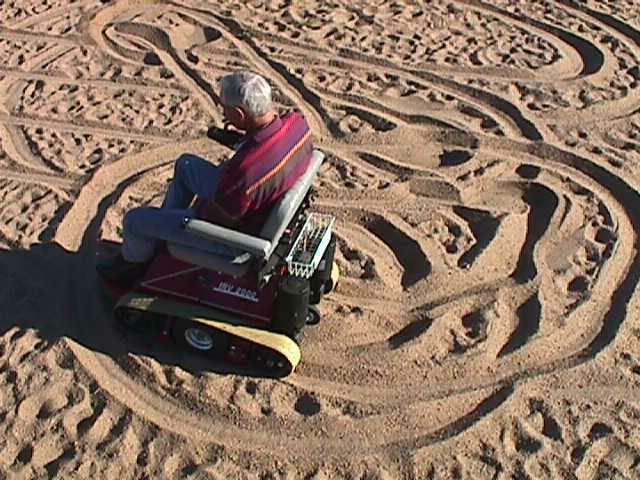 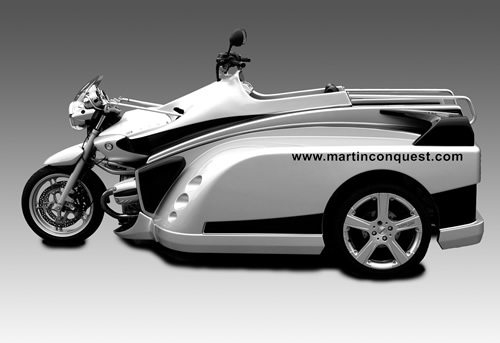 I especially like the motorized beach wheelchair. 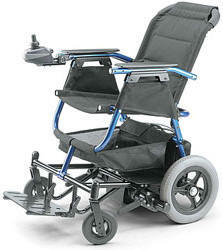 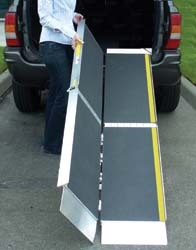 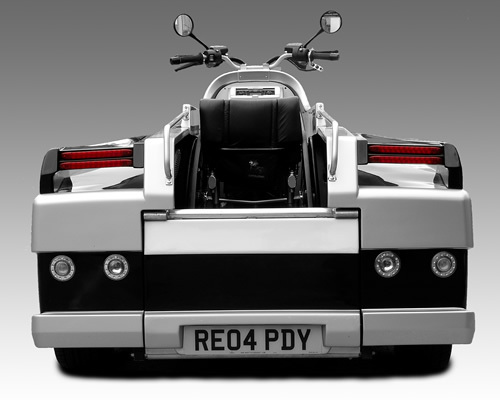 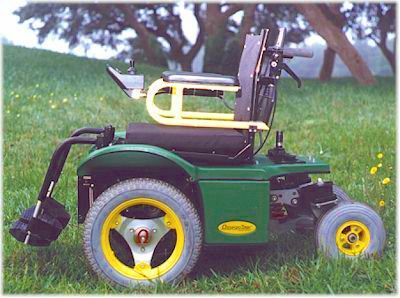 E-Motion – Push Power Assist I can operate a power assist manual wheelchair. 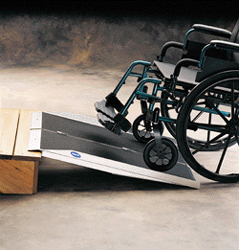 With just 20% of a normal push generates an extra 80% of motorized support. 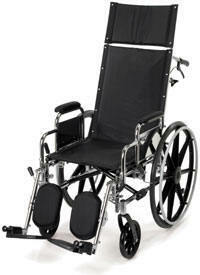 That e-motion wheelchair is perfect for individuals with limited mobility in the upper extremities. 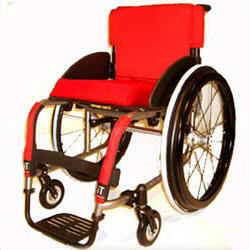 Especially for people with limited mobility with their hands and triceps. 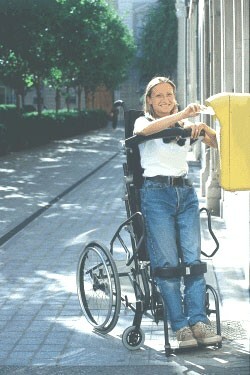 Also people who have shoulder injuries but want to continue using a manual wheelchair. 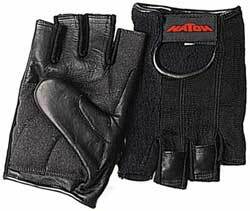 Dycem Wheelchair Gloves These gloves are perfect for individuals who have limited finger function. 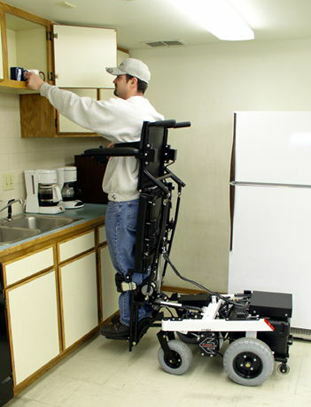 The dycem helps to grip the rim of a manual wheelchair, making it easier to operate. 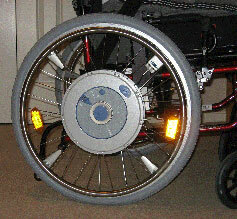 Here is a wheelchair system I rigged up: Buy some external speakers. 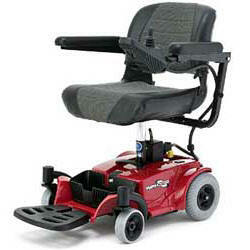 I got some for 20 bucks at RadioShack and used a rubber band to connect it to the back of my head rest. 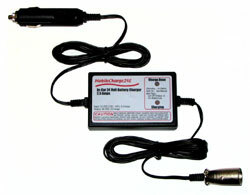 I then purchased a 4 foot male/female stereo chord, and hooked looked it up to my iPod shuffle. 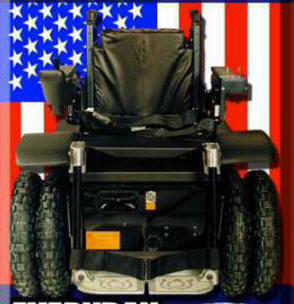 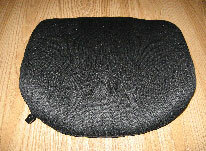 I use the J2 cushion on both my manual and power wheelchair. 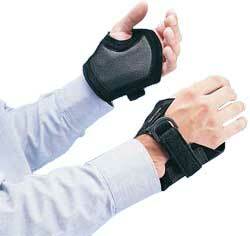 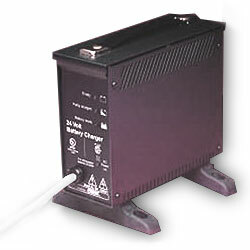 The J2 is specially designed for people at high risk for skin breakdown. 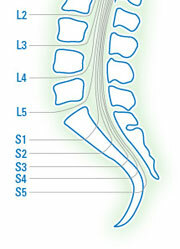 There is cut out for the pelvic region with about 2 inches of Jay Flow fluid, which feels like a gel like fluid. 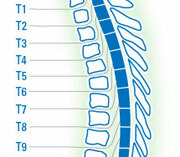 Varalite Evolution Back This back should only be used for individuals with good trunk control. 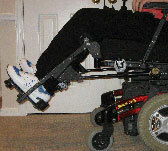 I like this back on manual wheelchairs because it frees up the elbows from hitting any lateral supports. 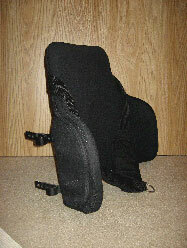 This back should only be used for individuals with poor trunk control. 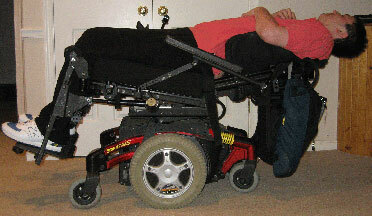 I like this back on power wheelchairs because it stabilizes the rib cage giving an individual the proper lateral support.